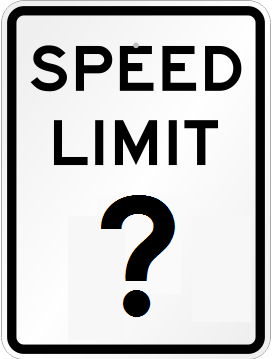 USLIMITS2 is a web based tool designed to help practitioners set reasonable, safe, and consistent speed limits for specific segments of roads. USLIMITS2 is applicable to all types of roads ranging from rural local roads and residential streets to urban freeways. However, the tool is not applicable to school zones or construction zones. User-friendly, logical, and objective, USLIMITS2 is of particular benefit to local communities and agencies without ready access to engineers experienced in conducting speed studies for setting appropriate speed limits. For experienced engineers, USLIMITS2 can provide an objective second opinion and increase confidence in speed limit setting decisions. Disclaimer: The U.S. Government assumes no liability for the use of the information contained in this tool. This tool does not constitute a standard, specification, or regulation. Before beginning a new project, it is recommended that you read through the User Guide and be prepared to enter the necessary data (e.g., 50th and 85th percentile speed, roadway characteristics, and crash history). If the segment you are studying is a new route, the system will not require this data, but it is recommend that the statutory speed be posted on new routes until such time that reliable data on operating speed, crashes, and other factors can be collected. To create a new project, click the new project link below. At the end of the process you will be asked to save a project file. The project file can be revised or updated later. If you wish to revise or update an existing project, click the revise project link to upload your project file. User Guide - provides background information and detailed instruction for using the USLIMTS2 web based tool. Decision Rules - flowcharts of the decision logic used in determining the recommended speed limit. NCHRP 3-67 Project Report - documents the research conducted to develop version 2 of USLIMITS2. Frequently Asked Questions - frequently asked questions for version 2 of USLIMITS2. If you experience any technical difficulties while using this program, find any bugs, or have suggestions for improving USLIMITS2, please send an email to help@uslimits.org.